Keep your WordPress site up to date and secure to protect all your hard work. The majority of websites are not actually hacked by individuals. In reality, it is mostly automated scripts and bad bots that scour the internet looking for easy targets. The easiest targets by far are outdated WordPress core files, themes and plugins. Hackers are not interested in your actual website. The target of these automated attacks is the processing power your website has access to. With access to your server, they can divert resources to launch more malware attacks or send spam from your accounts. There’s no such thing as an online hack-proof system. But you can protect yourself from automated attacks by keeping your site up-to-date and closing a few of the open doors that most WordPress installs have. As a one size fits all solution WordPress needs a little tailoring to achieve that perfect fit. Some steps are more complicated than others, but the biggest factor of all is to Keep your WordPress core files, plugins and themes up-to-date. All the time! Using Out of Date Plugins on your website is like going on holiday and leaving home with your windows and doors unlocked or even worse wide open! Outline your own monthly maintenance schedule.  Build your perfectly customised plan just for you. Select the things you need and leave everything else out. Not sure what’s what? Get a description of each service. Even our most comprehensive WordPress Maintenance Schedule comes in at only 13,500 THB per month! Sometimes it’s difficult to know what you need and why it’s important which is why I’ve created some basic plans to pick from to help make life a little easier. Keeping your WordPress website in tip top condition is about preperation and being pro-active. We use our own blend of security techniques to safeguard your site. We stay up to date with the latest expliots and alerts so you don’t have to. Free Security Audit, Free WordPress Advise & Free Back-up Restoration. Backups are like seat-belts in cars, they keep you safe in case anything bad happens. No matter how active your website is we have the solution. Need your site updated regularly? From adding posts or updating forms or prices, Hue Marketing can keep your content up to date. WordPress Core files, Theme & Plug-ins. Keeping your site up-to-date is the best protection from hacking & security exploits. We take a look at your website with our own two eyes to make sure everything is as it should be. Daily malware scans to detect latest exploit threats or unusual changes that can cause your site harm. Your site is an integral part of your business, so if it goes down we will email you straight away. Our recommended maintenance packages are a perfect fit for most websites. Ideal if your site doesn’t generate much income and you only update your WordPress site a few times a month (or less). It goes without saying that you’d be quite upset if got hacked and even more upset if you lost some or all or your posts. Our Bronze level plan offers essential maintenance and protection just to be on the safe side. If your site goes down, it’s a big deal! There;s no two ways about it. You need reassurances that your site is going to be online all the time and that you have plenty of backups should you need them. You probably also need some small changes made to your site every so often. This helps keep your website up-to-date for your customers and also shows that you’re on the ball as a professional business. If you’re thinking to yourself, it’s not a big deal if my site goes down for a bit. You should give us a call. We develop websites that make a difference to your business. In short, we’d make a website you’d certainly miss if it wasn’t working. Your website is your business! Unless you’ve an in-house developer to take care of your site you’ll need to invest in a robust maintenance plan. Your site handles money and customer details so it’s a prime target for hackers. Money spent on maintenance will pay dividends in the long run as will having your site continue to run like a well-oiled machine. There’s nothing inherently unsecure with the WordPress system. It’s the users maintaining the site that make them prime targets. 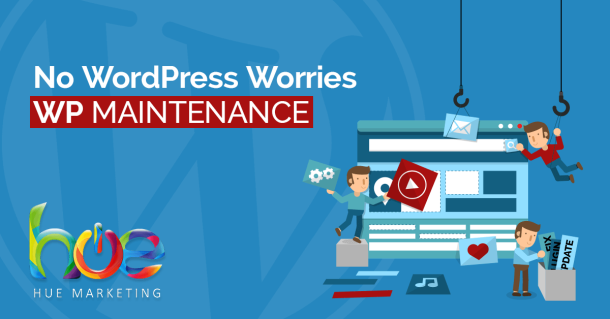 Every WordPress website needs regular maintenance. Some sites need more than others, it depends on how complex your theme is and how many plugins your site uses. WordPress itself, the Theme you’re using which dictates most of the styling, appearance and functionality of your website and finally the Plugins used. Plugins are third party add-ons that provide additional functionality to your site. Even inactive themes and plugins need to be kept up-to-date. There are around 75 million websites using WordPress, (there’s probably more by now, but regardless of the current numbers it’s safe to say that WordPress is a hugely popular all over the world). Hackers (mostly automated bots), do not target specific websites. But they do target known vulnerabilities that can be found in sites using old plugins, themes or old versions of WordPress itself. Once they gain access, there’s a lot more damage they can do without directly messing with how your website looks. Your on-line reputation with search engines can be damaged for months or even years. Do you have a question about our WordPress Maintenance Service? Here’s the perfect place to ask.